As I noted at the time, I had a pretty good flight from Salt Lake to LAX. Especially considering it was my first complimentary upgrade as a Medallion, to Delta’s internationally-configured Business Elite product on a Boeing 737-800. For whatever reason we landed at Terminal 6, instead of Terminal 5 which I suppose is Delta’s main terminal. 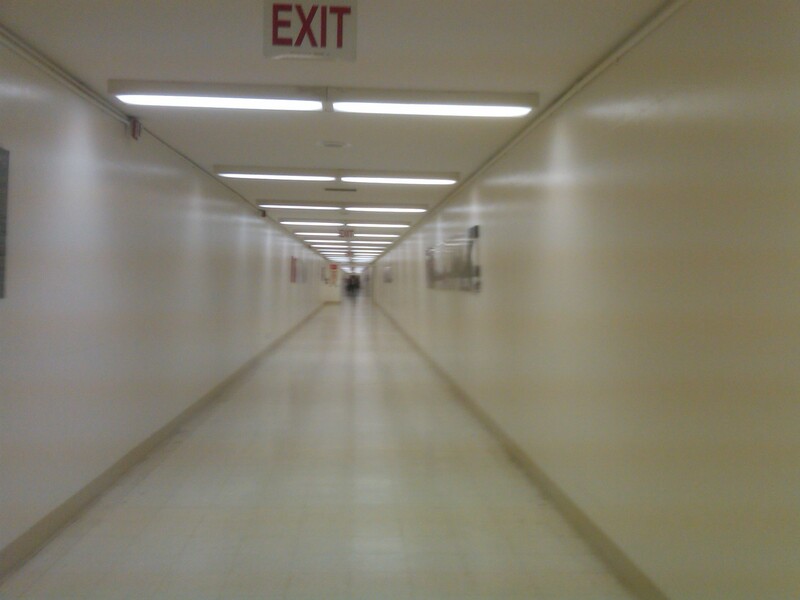 Maybe I am crazy, but it didn’t bother me. I had about an hour to make my connection, and it just meant more for me to explore. 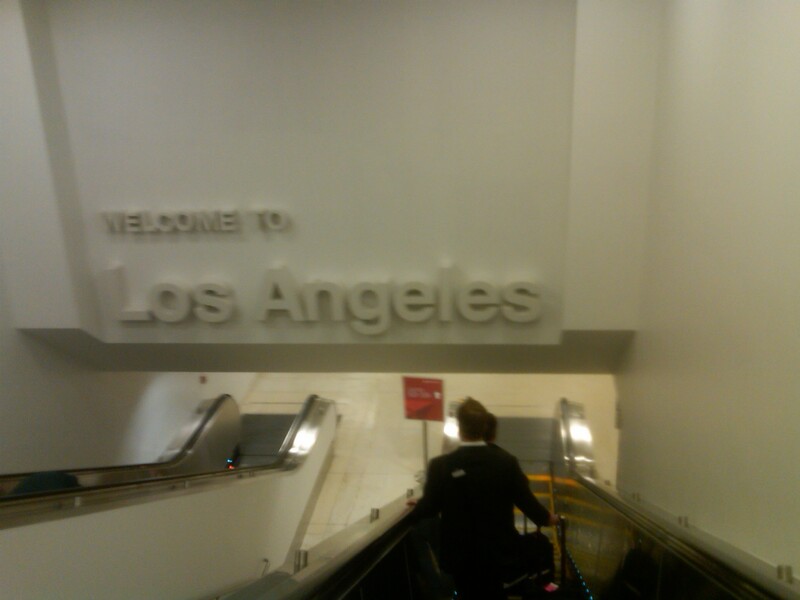 When I arrived into the crazy world of LAX, everything seemed to be in a haze, but maybe that was because my weary eyes were futilely attempting to adjust to the bright signage at 11 PM. I headed into the SkyClub, and I received an unusual comment. 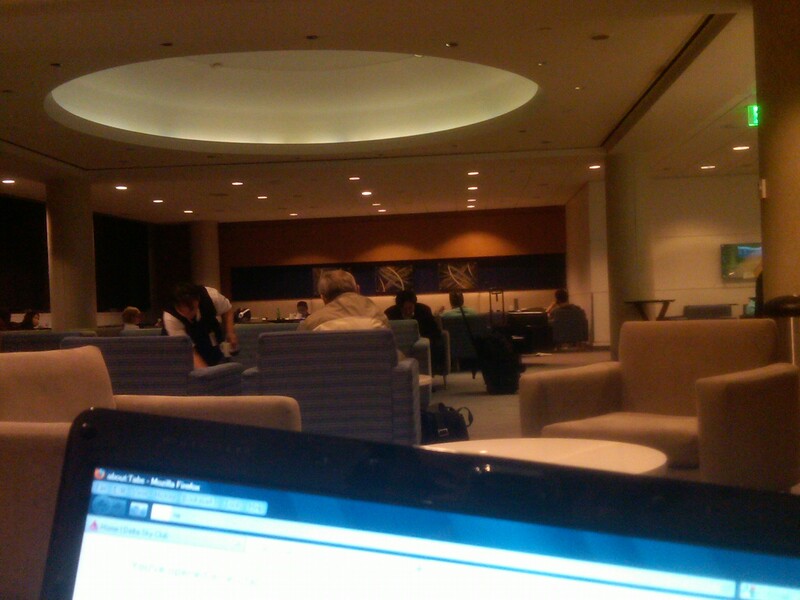 The lounge dragon checking my credentials remarked “I remember you!” The only problem is I had never been to LAX before. Maybe she had worked at another Sky Club that I had visited last year, but I didn’t ask. Perhaps it was her way of being courteous image, as I heard the same remark made to another passenger. I left about 30 minutes before boarding to began to inquire if they needed any volunteers to take a later flight, as I had checked the loads (see Lucky’s advice) and the flight seemed quite full. Worse yet, I knew my upgrade about 0 chance of clearing, so I would be a bit relieved to not have to put up with an uncomfortable red-eye, even if I would have been in the Exit Row. I checked back in about 30-40 minutes later, when most of the boarding process was complete. “Unfortunately,” at this point, the ticket agent scarily informed me, “we still need you.” Pfheeww. I thought she would announce they weren’t going to need me. Immediately the agent went to working on printing my vouchers and new boarding pass for the following morning, then began trying to find hotel rooms for the 4 of us who had been bumped off the flight. She mentioned that there were no rooms in The Hacienda close by (which didn’t seem too bad when passing by it), so they had found a room out at the Torrance Marriott South Bay. As a newly-minted Marriott Rewards Gold Member I jumped for joy at my luck. 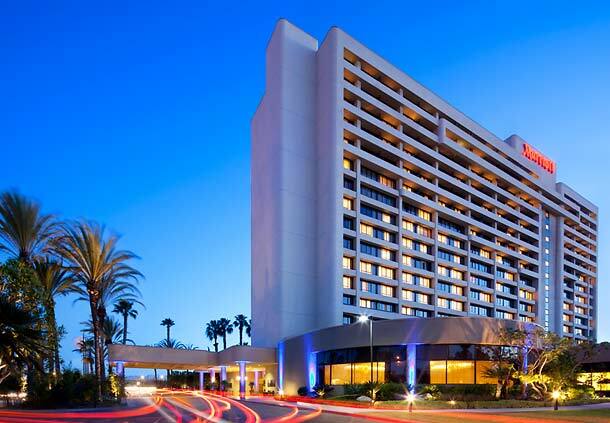 The Torrance Marriott that where Delta had reserved a room for me was about 20 minutes away, and I was given Shuttle vouchers for both the trip there and the return. Needless to say, not only did I have a hard time finding the shuttle, and then wait for a while, when I finally contacted them by phone they told me they wouldn’t be able to give me a ride. GRR. Long story short, don’t go with Prime Time Shuttle. Despite not wanting to pay for a 20-minute taxi ride, I did desire to actually get some sleep that night, so fed up, I finally rationalized paying for a cab. 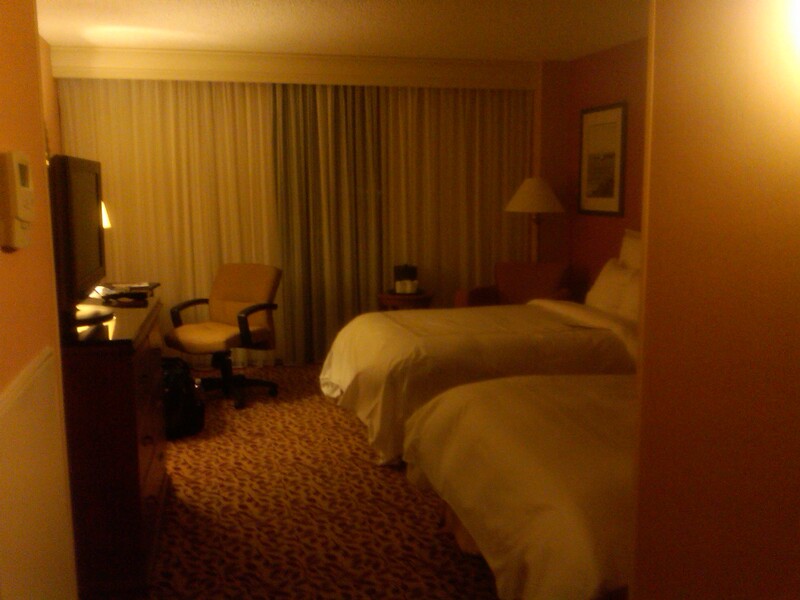 After about 15-20 minutes, I finally arrived at the Marriott Torrance South Bay. As a side note, I have contacted Delta about having to pay for a cab, and hope they will reimburse me since the transportation they provided the voucher for, simply was NOT AVAILABLE. We shall see. I proceeded to check-in, and unfortunately no King beds were available. Oh well, it was a practically free stay, who am I to complain? And the front desk representative was courteous enough to call the shuttle company for me, and arrange for the shuttle to pick me up in the morning. He agreed to put me on the Club Lounge floor, but unfortunately my shuttle left before the lounge opened. Anyway, I guess I gave up on the shuttle idea at the right time, because just as I was leaving the front desk, the other distressed passengers arrived, having also decided to take a taxi. For some reason (maybe weariness) I didn’t take pictures of the bathroom, but while it was serviceable, it wasn’t a whole lot more than that. The following morning the shuttle called my cell phone 15 minutes before arrival–nice After a quick shower, I dragged (emphasis on DRAGGED) myself down to the lobby to check out and meet my ride.